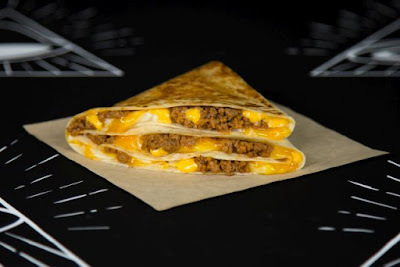 Taco Bell will launch the new $1 Stacker starting December 21, 2017 and plans to introduce 20 additional new $1 menu items throughout 2018 as a move to highlight their $1 value menu. 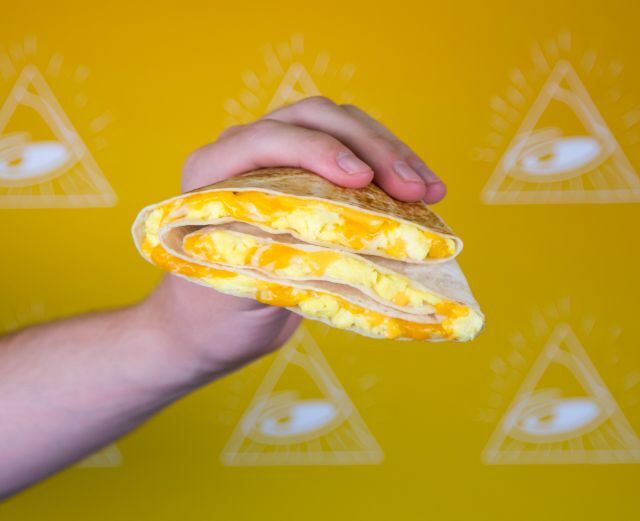 While many-a-fast-food chain has abandon their dollar menu (although, notably, McDonald's is bringing theirs back and rival Del Taco sports a "Buck and Under" value menu), Taco Bell chugs along with a dollar menu that has expanded (with the arrival of breakfast) since it came about as the successor to their "Why Pay More" menu (which was even cheaper with items at 59, 79, and 99 cents). The new, limited-time $1 Stacker is basically a folded quesadilla and features melted 3-cheese blend, nacho cheese, and seasoned beef folded inside a flour tortilla and grilled/pressed and then folded three times to form a "stack." The $1 Stacker can be ordered by itself or as part of a $5 Box along with a Doritos Locos Taco, a crunchy taco, chips and nacho cheese, and a medium fountain drink. A breakfast version, the $1 Breakfast Stacker, will also be available. It's mostly the same as the $1 Stacker but replaces the seasoned beef with scrambled eggs. In recent years, Taco Bell has mostly targeted the $1 and $5 price points for their value deals although they've also played around with other price points.